What Is The Key To Cracking The Retail Meal Kit Code? 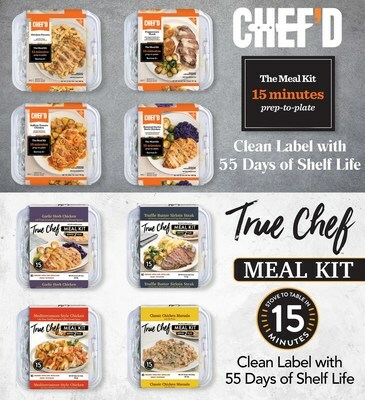 NEWPORT BEACH, Calif., Jan. 28, 2019 /PRNewswire/ -- True Food Innovations, based in Newport Beach, California, is launching new products under both True Chef™ and Chef'd™ branded retail meal kits with fresh, clean label, preservative-free recipes with 55 days of shelf life. All recipes only require 15 to 20 minutes of total prep and cook time. Alan True, Founder & CEO, said that both True Chef and Chef'd Meal Kits will be available for nationwide rollout in January 2019. "We are setting the standard for the retail category through innovation, product development and technology; we listened to our retail partners and we developed products to solve their problem, shelf life." True Food Innovations identified shelf life as a key differentiator and absolute requirement for Retail Meal Kits to be commercially viable for nationwide distribution. True Food challenged their R&D, food science and technology teams to develop first to market, long shelf life retail meal kit products. True Food Innovations doubled down by recently completing the acquisition of Chef'd, previously valued at $160M and the leading brand in retail meal kits according to IRI data. "Our strategy is to provide retailers with a multi-brand offering with the ability to provide meal kit options based on price, demographics and geography; we have cracked the code that has limited large-scale retail rollouts of fresh meal kits," said Robert Jones, President of True Food Innovations. True Chef and Chef'd Meal Kits are free from all artificial colors, preservatives and artificial flavors, company officials said. The kits feature long shelf life by using patent-pending formulations and HPP processing which is recognized by both the FDA and USDA as a natural food processing technique. True Chef and Chef'd Meal Kits are launching in stores nationally throughout 2019, making convenient, clean-label recipes and products available to consumers nationwide in the coming months. True Food Innovations has developed first-of-its-kind patent-pending formulations for fresh meal kits that are specifically designed for retail. 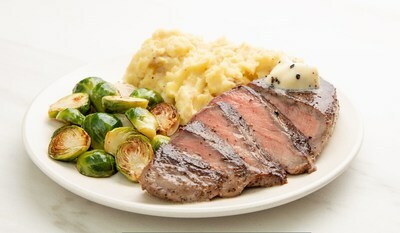 Consumers can now enjoy delicious, safer and all-natural, restaurant-quality meals made right at home and purchased locally at your favorite club or grocery store without having to subscribe to home delivery services. True Food Innovations is a privately held food technology company that provides turnkey product development, packaging solutions and manufacturing services. It develops or partners with companies to introduce first-to-market, private-label and retail-ready products nationwide.